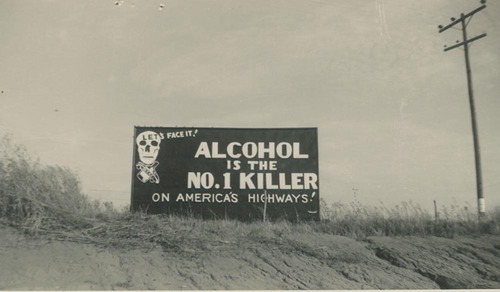 A view of a Women's Christian Temperance Union billboard erected along a Kansas highway which states that "Alcohol is the No. 1 Killer on America's Highways." This photograph was part of Governor John Anderson Jr. papers.